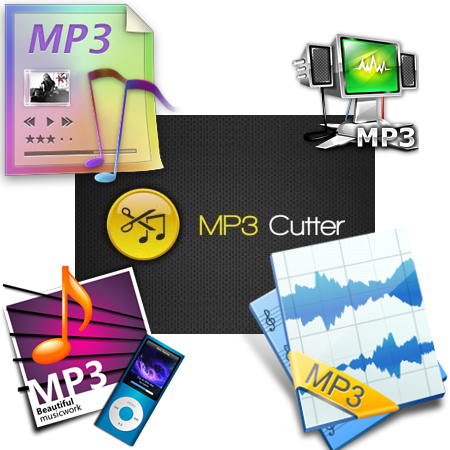 Free MP3 Cutter and Editor is an extremely simple and easy to use Windows software for editing mp3 files. The program displays a waveform graph that lets you easily select a portion of the MP3 for editing. You can cut out unwanted part of the audio, change volume by specifying a percentage value, create a fade in or fade out, and convert the audio between stereo and mono. · Delete Selected - Deletes selected part from the MP3 document. · Delete Unselected - Deletes unselected part from the MP3 document. · Change Volume - Changes audio volume by specifying a percentage value. · Maximize Volume - Increases volume as high as possible without distortion. · Fade In - Gradually increases the volume throughout the selection. · Fade Out - Gradually decreases the volume throughout the selection. · Convert to Stereo - Duplicates mono track to make a stereo track. · Convert to Mono - Mixes all channels to make a mono track.